Asparagus provides a rich source of minerals and vitamins, while remaining remarkably low in calories. Regular consumption of vegetables, such as this one, helps the body capitalize on nutritional and health benefits that support the body in its proper functioning. Also useful in natural cures and home remedies, vegetables play a vital role in healing bodies that have experienced health compromises. Asparagus is notably high in purines. Therefore, those with a history of kidney stones or gout are advised to limit its consumption. After digesting asparagus, many note a pungent odor in their urine. This is not considered unusual, nor is there cause for alarm when it occurs. Rather, the odor is due to a combining of compounds, such as sulphur, that are used in the breaking down of the vegetable for the body’s use. Overall, asparagus is considered safe to consume regularly and, in fact, contains essential nutrients, which promote optimal health and assist in maintaining vigor. 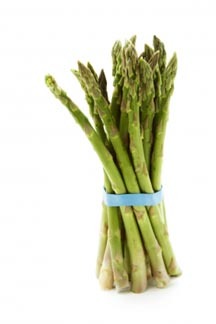 Asparagus does not contain fat or cholesterol, and is naturally low in sodium. Although many of the key nutrients found in asparagus can also be gained by synthetic supplements, it should be noted that some supplements do not match the effect of the nutrients found in naturally occurring foods. To an extent, this can also be true for vegetables and fruits, which have been frozen or processed. Therefore, as often as possible, fresh, organic, raw fruits and vegetables should be consumed in order to obtain all of the natural benefits described above. All of these facts and more support fresh asparagus as being an important part of any diet plan.